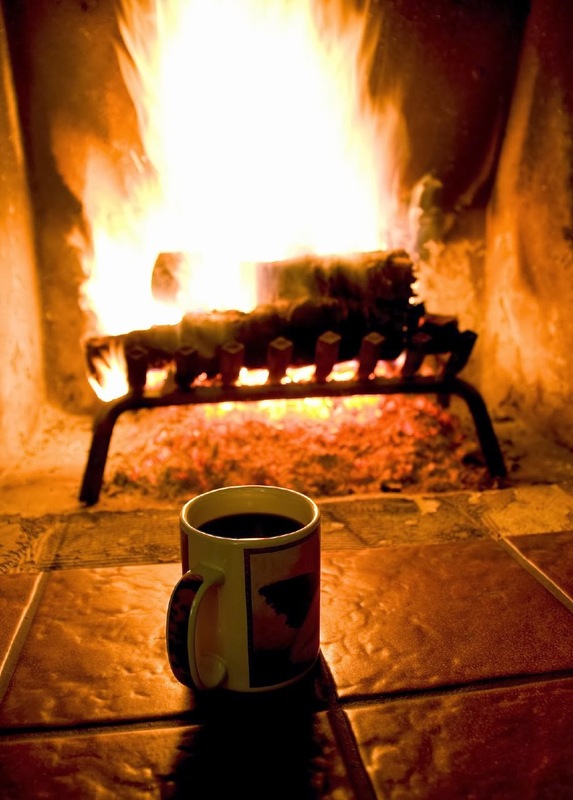 Join Me for Java and Fireside Chat? Here it is the Monday before Thanksgiving and all is calm, all is bright. Oh, wait, I’m getting ahead of myself, aren’t I? It has been awhile since I shared a Miscellany Monday Post but I really was hoping you and I could have a cozy chat, like old times. Oh, and if you want to go ahead and link a recent post in the comments, I would love to see what’s been happening in your neck of the woods. although it was brief and light. I’ll take it. 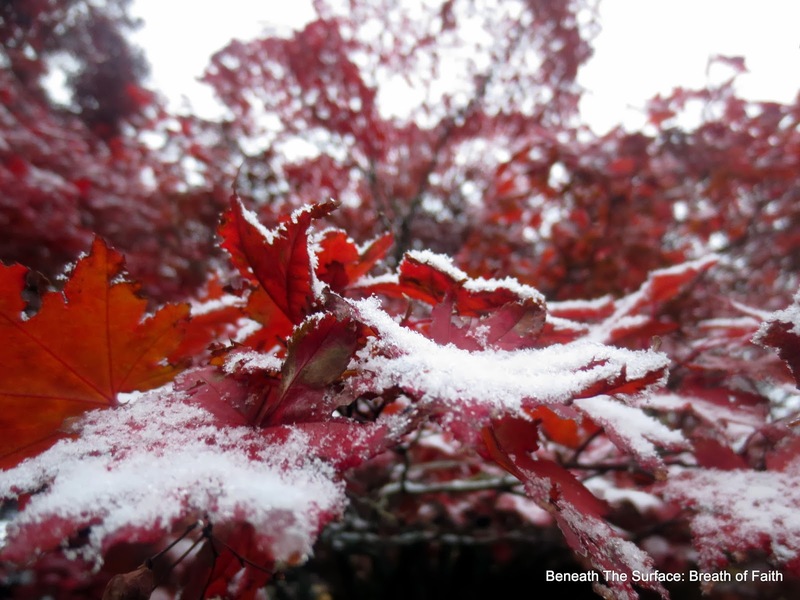 The Red Maples in our yard made for wonderful snow holders! 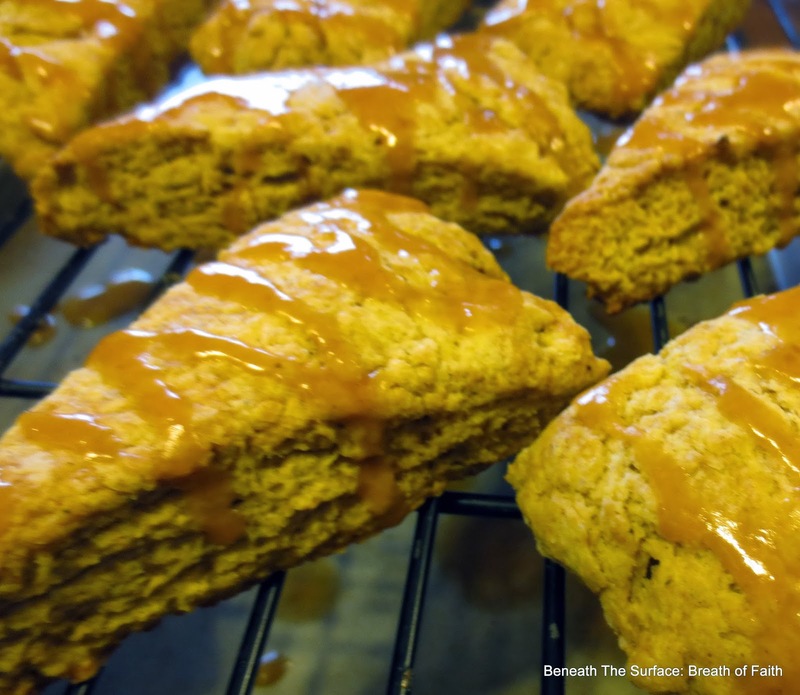 #515 Hubby has made these Pumpkin Scones twice and each time they disappear! I asked him for the Link to the Recipe to share, for those who want to give them a try. They are not too sweet, and oh so scrumptious. #516 I thought this was too cute a picture to miss! 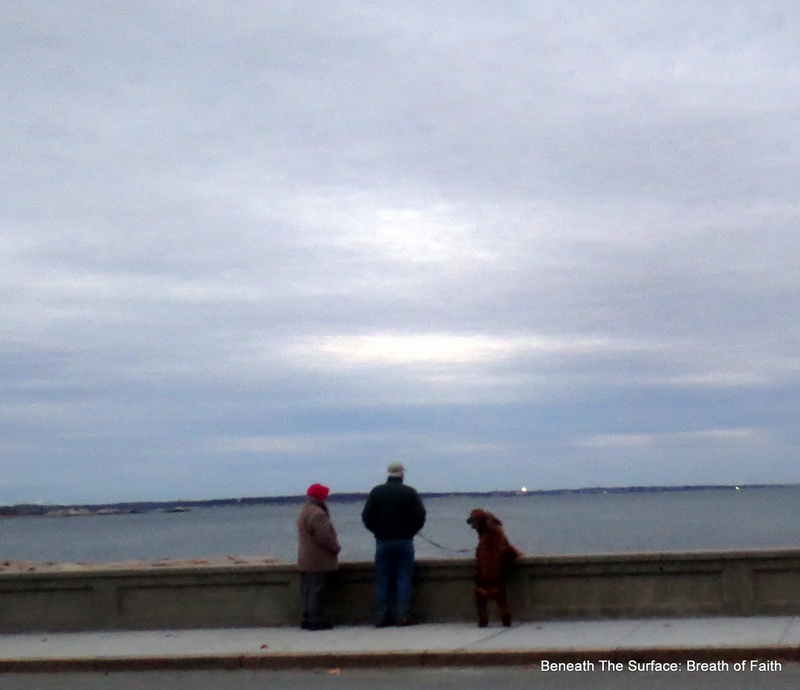 and their Fur Kid was not about to miss the view! #517 Of course you know who is my Top Dog, right? 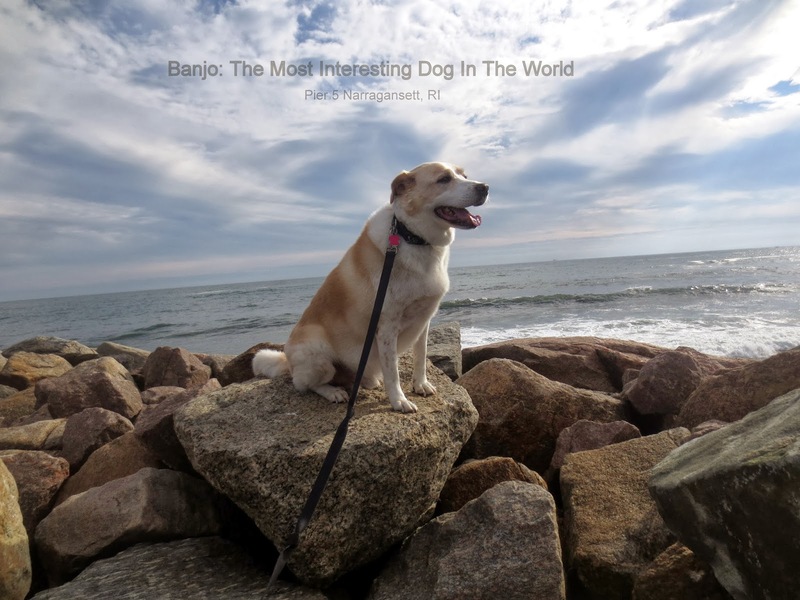 Banjo, gets around Rhode Island a lot. He favors Narragansett, naturally. Here he is sitting on the rocks at Pier 5. 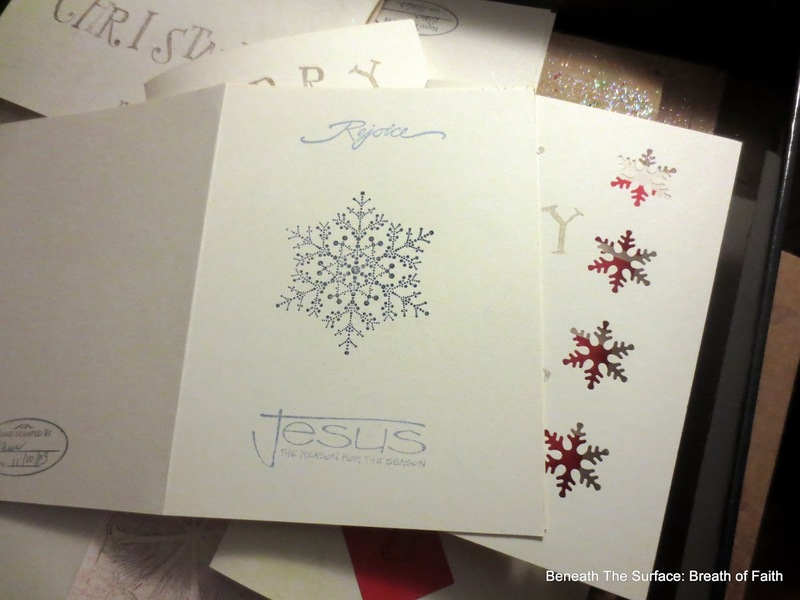 #518 I’ve been enjoying making Christmas Cards this month. Below you can see some of the varieties. I like to do different creations on different days. So I might make a batch of a similar theme, style and color combination. Whatever comes to my mind. I love creating randomly. My cards are pretty simple, but I enjoy the spontaneity, freedom and surprise of winging it! I never know ahead of time what will come of these “Creative Sessions”! 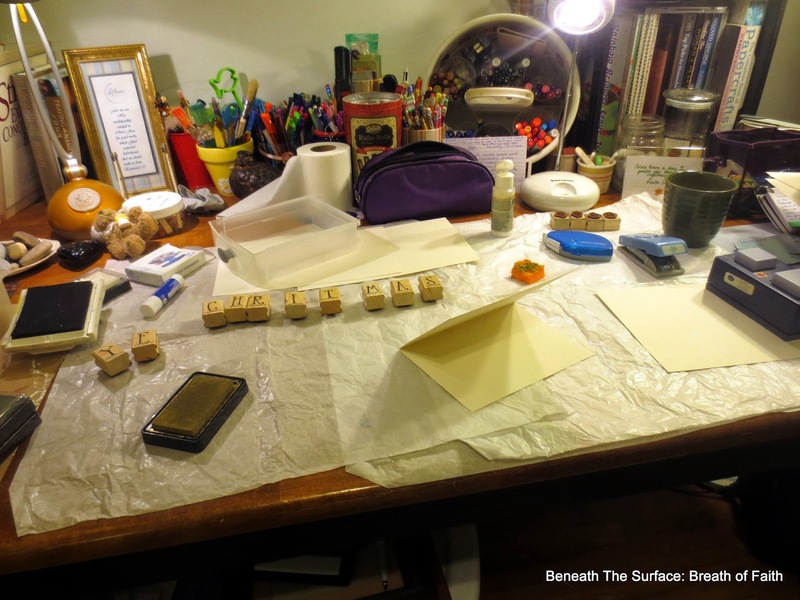 If you are noticing the TP on my desk- I ran out of Kleenex and my allergies were bothersome. A wise woman told me once, “If it’s good enough for your behind, it’s good enough for your nose.” OK, then…moving right along. I will share a post with all my cards coming up soon. 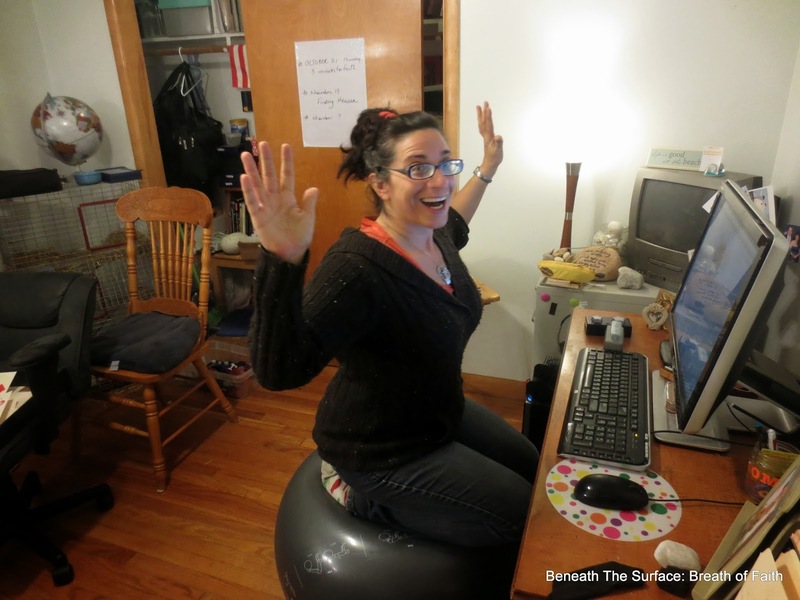 #519 Here I am at my Blogging Station. Hubby grabbed this pic while I was being my usual goofy self. Yes, I’m kneeling. No, it’s not as hard to do as it seems. In December, I bring you the 12 Days of (Fitting In) Fitness. That will be a commitment to Fit in Fitness twelve times during the hustle and bustle of the holidays. Simple accountability. 12 times. That equals approximately 3 times a week-however that looks is up to you. It can be 15 minutes or 50 minutes or anything in between or beyond. Get ready to plan how you can make it happen. I’m not dishing out the workouts, just getting you to think and plan ahead. 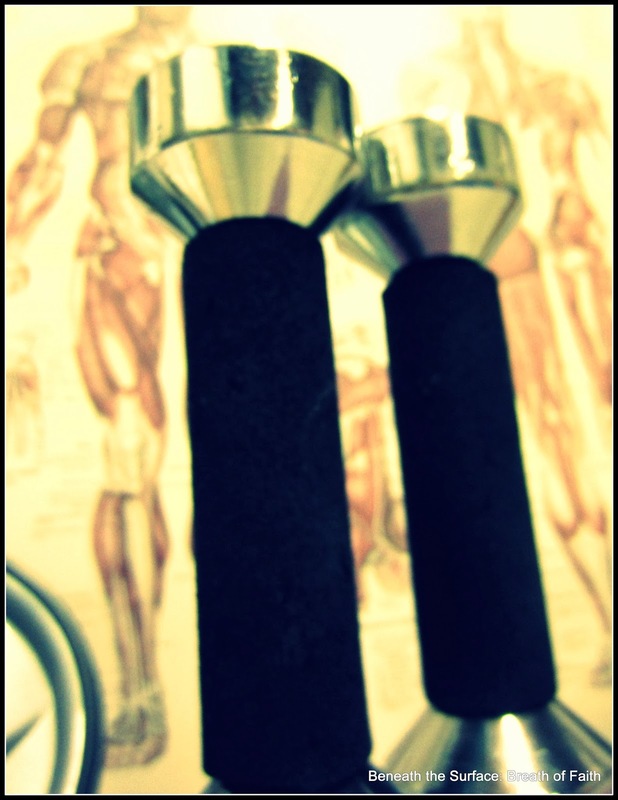 What will it take for you to fit fitness in during December? *Prayers still needed for our family as we are undergoing a difficult circumstance with a loved one. Hanging onto God’s faithfulness during this time. Reminded of how He holds onto us when we feel ourselves sinking deeper into despair or hopelessness; when we feel ourselves losing our grip…He never loses His grip on us. He truly is my Faith Life Preserver. 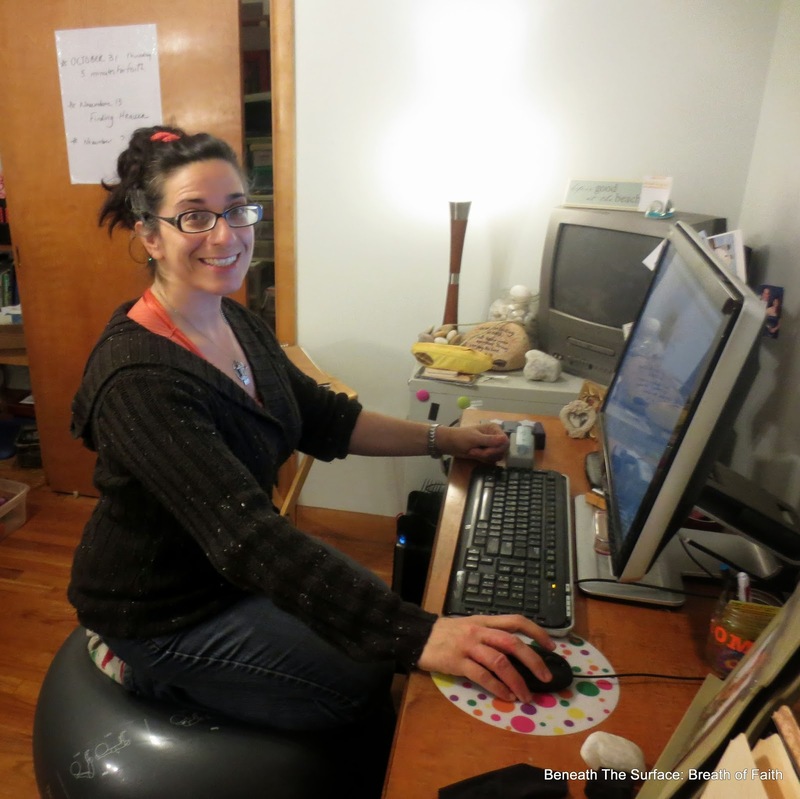 I was wondering what you were sitting on at yor blogging station. I should do that! One of the schools in my area has those for a classroom. They say it keeps everyone's mind focused.I like the fitness ideas for Deccember. Please check in with me and remind me to come visit.Of course you know the dog posts are my favorite. I have one dog here staring at the speakers wondering where the wave sounds are coming from. 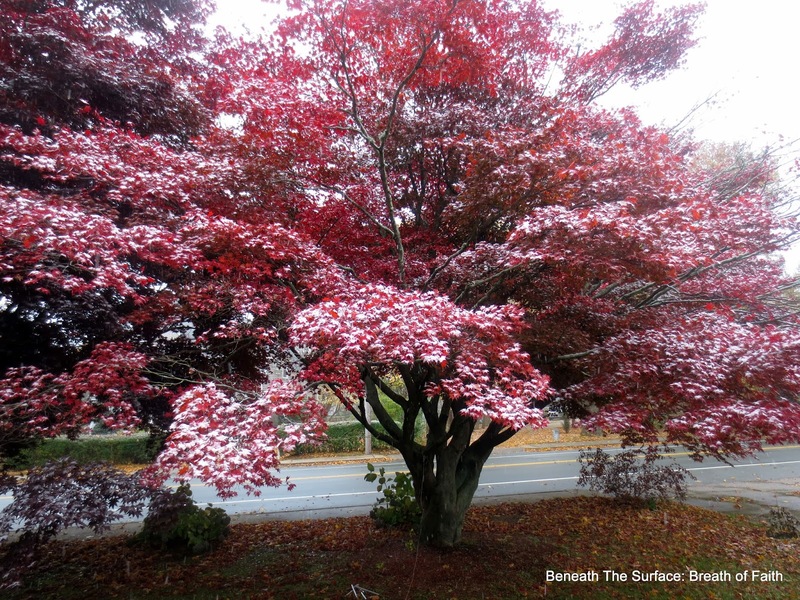 Alright, the photos of the first snow are amazing! I would love to see your cards once they are done. Continuing to pray for you, my friend. God is faithful. Praying you have a blessed Thanksgiving! 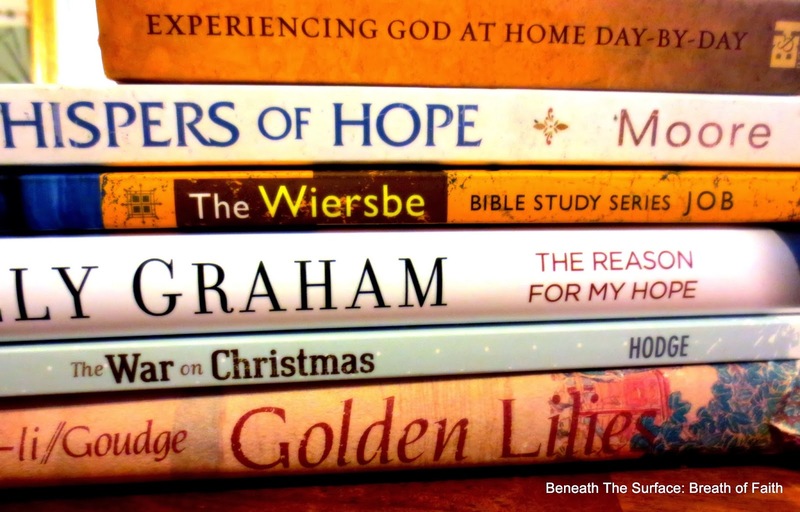 Lifting you up in my prayers…so glad to see your smiling face…love the Christmas cards…love your stack of books…you are always an inspiration to me! Wish we could bring all of us bloggy friends together sometime so we can group hug and glean from each other's special gifts. What a wonderful time that would be…(quite a hoot, I'd say!) Happy Thanksgiving!